Victoria Gitman earned her Ph.D. under my supervision at the CUNY Graduate Center in June, 2007. For her dissertation work, Victoria had chosen a very difficult problem, the 1962 question of Dana Scott to characterize the standard systems of models of Peano Arithmetic, a question in the field of models of arithmetic that had been open for over forty years. Victoria was able to make progress, now published in several papers, by using an inter-disciplinary approach, applying set-theoretic ideas—including a use of the proper forcing axiom PFA—to the problem in the area of models of arithmetic, where such methods hadn’t often yet arisen. Ultimately, she showed under PFA that every arithmetically closed proper Scott set is the standard system of a model of PA. This result extends the classical result to a large new family of Scott sets, providing for these sets an affirmative solution to Scott’s problem. In other dissertation work, Victoria untangled the confusing mass of ideas surrounding various Ramsey-like large cardinal concepts, ultimately separating them into a beautiful hierarchy, a neighborhood of the vast large cardinal hierarchy intensely studied by set theorists. (Please see the diagram in her dissertation.) Victoria holds a tenure-track position at the New York City College of Technology of CUNY. 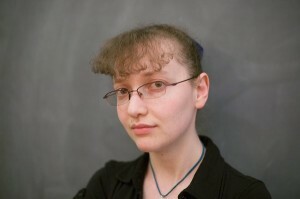 Victoria Gitman, “Applications of the Proper Forcing Axiom to Models of Peano Arithmetic,” Ph.D. dissertation for the Graduate Center of the City University of New York, June 2007. Abstract. In Chapter 1, new results are presented on Scott’s Problem in the subject of models of Peano Arithmetic. Some forty years ago, Dana Scott showed that countable Scott sets are exactly the countable standard systems of models of PA, and two decades later, Knight and Nadel extended his result to Scott sets of size $\omega_1$. Here it is shown that assuming the Proper Forcing Axiom, every arithmetically closed proper Scott set is the standard system of a model of PA. In Chapter 2, new large cardinal axioms, based on Ramsey-like embedding properties, are introduced and placed within the large cardinal hierarchy. These notions generalize the seldom encountered embedding characterization of Ramsey cardinals. I also show how these large cardinals can be used to obtain indestructibility results for Ramsey cardinals. This entry was posted in Students and tagged countable models, forcing, forcing axioms, large cardinals, Peano Arithmetic, PFA, Ramsey cardinals, Scott sets, Victoria Gitman by Joel David Hamkins. Bookmark the permalink.